KATHMANDU, July 31. The first wide-body aircraft of the Nepal Airlines Corporation (NAC), the Annapurna, is beginning its commercial flights from August 1. The NAC made public the fight schedule after getting Air Operator Certificate from Civil Aviation Authority of Nepal (CAAN) on Monday. NAC General Manager Sugatratna Kansakar said the first wide-body would make its maiden flight at 10:00 pm on August 1. The Annapurna aircraft would make three flights in a week. The aircraft with call sign ‘9NALY’ is going to make its maiden flight from Doha of Qatar. 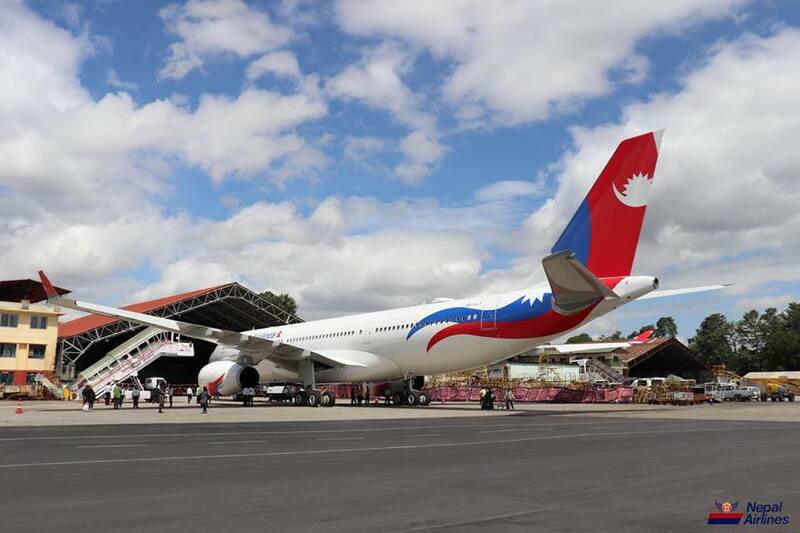 The first wide-body aircraft ‘Annapurna’ had landed at Tribhuvan International Airport on June 28. NAC Spokesperson Rabindra Shrestha said the aircraft had made the test flight from TIA, Kathmandu, to Indira Gandhi International Airport on July 23. The NAC through the airbus A330-200 has set a target to increase its presence in the international flights.